Ellsworth Dairy Cooperative is based in the Heart of Wisconsin’s Dairyland in the town of Ellsworth, Wisconsin, and was proclaimed the “Cheese Curd Capital of Wisconsin“ by Governor Anthony S. Earl in 1984. Today they produce about 160,000 pounds of 100% all natural premium cheddar cheese curds each day. 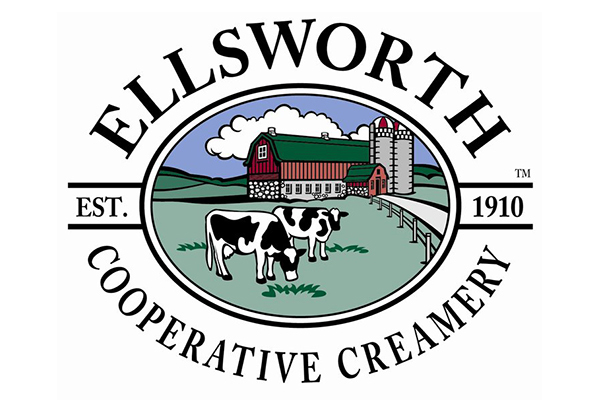 Ellsworth Cooperative Creamery accepts only farmer certified rBST free milk! In June of 2011 the Ellsworth Cooperative bought Blaser’s Premium Cheeses, located in the small town of Comstock in northwestern Wisconsin. The Comstock Creamery manufactures naturally flavored cheeses under the Blaser’s, Antonella, Ellsworth Valley rBST-free cheese, Kammerude, and Golden Age labels. What was known as Blaser’s USA, Inc. started with a creamery, the Comstock Co-op, built on the site in 1901, accepting home-separated cream from area farmers and manufacturing butter from the sweet cream. In 1948 the company’s focus turned to cheese production. You can learn more by visiting ellsworthcheese.com or follow them on Facebook.